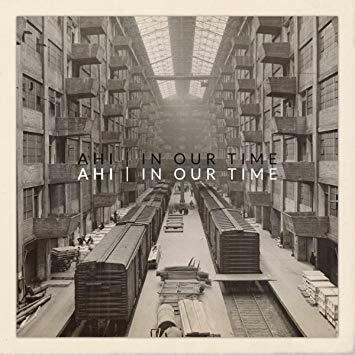 Canadian singer-songwriter AHI (pronounced “eye”) offers a refreshingly earnest commentary on life, love, and the concept of home on his sophomore album, In Our Time. His first album, We Made It Through The Wreckage, was independently released in 2017, and despite a lack of promotion, the album resonated with listeners and began receiving recognition across Canada due to AHI’s gritty, soulful vocals and commitment to honest, simplistic music. The opening track on his newest album, “Breakin’ Ground,” is an uplifting introduction, telling of AHI’s journey to becoming an artist and musician. Lyrics like “I’ve been told I’m worthless so much that it gave me purpose” are honest and real, and are complemented by AHI’s raspy and raw-sounding vocals over an upbeat melody. “Made It Home,” the following track, presents the second chapter of AHI’s personal story. In the song, the father of three explores the concepts of family and home in a way that simultaneously expresses vulnerability and strength. The other songs on the album, from the energetic “Five Butterflies” to the more emotional and softer “Just Pray,” highlight AHI’s ability to blend folk, soul, rock influences with his personal experiences and feelings in a way that makes his music poignant and engaging for anyone and everyone. On In Our Time, AHI manages to use his mesmerizing vocals and catchy melodies to create a personalized yet relatable collection of folk rock tracks based on his own experiences of life, love, and family.